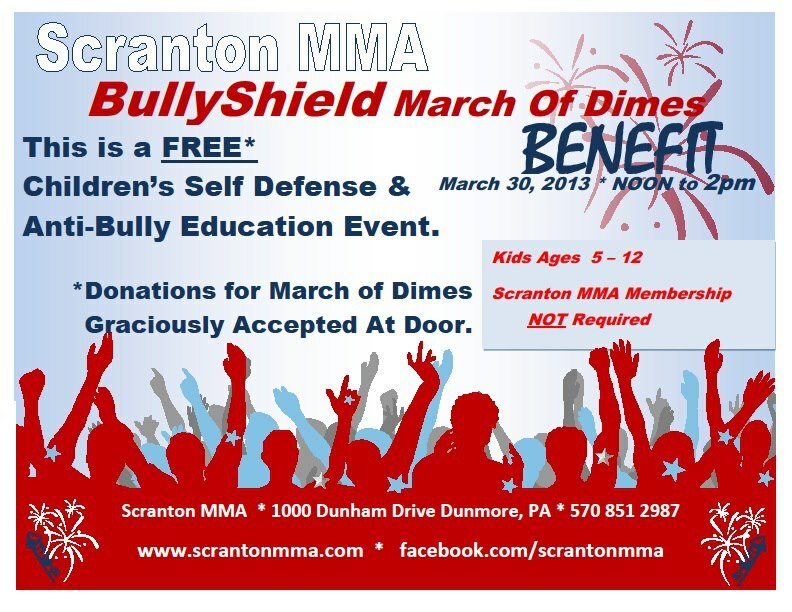 Please help us spread the word about this FREE anti bullying educational event in Scranton. 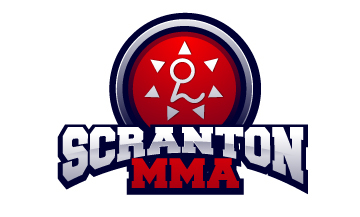 Scranton Mixed Martial Arts will host the event at their facility in Dunmore Pa. The location is very easy to get to and is located right off route 81, route 6 and route 380. There is ample parking for all attendees. This is a FREE event but we will be graciously accepting donations for the March of Dimes. The event will take place March 30th from noon until 2pm. At this event we will teach both physical and verbal skills that will allow children to deal with many different forms of bullying. We obviously feel that the verbal skills are the best way to deal with bullying. However by teaching children the physical skills necessary to defend themselves from a physical attack by a bully first gives them the confidence to use their verbal skills to diffuse most situations and avoid a physical confrontation. Without the proper training and education kids who know how to ‘fight’ could resort to just trying to beat up the bully. With proper training in both the physical and verbal skills children will not be intimidated or fearful of bullies and be able to deal with them in the best manner possible. At this seminar kids will be introduced to some of the basic verbal skill necessary to deflect, diffuse and avoid a physical confrontation. They will be shown several ways that they can talk to a bully before anything physical happens to ensure their safety and the safety of the bully. They will also be shown some very basic but very effective self defense techniques that will do minimal harm to the bully but allow the child to escape physical harm to themselves as well. Our goal with these techniques is always to do as little harm to the bully as possible and allow our student to remain safe. After both sets of skills, verbal and physical, are taught we set up different drills that allow the students to practice them in a safe but realistic situation which will give them the confidence they need to properly use these techniques if the situation ever arises.